« Homepage / Medical Organizations / "Food and Drug Administration"
This organization has, among others, the mandate to authorize the marketing of drugs on the territory of the United States. 1906 (June) President Theodore Roosevelt signs the Food and Drug Act, also known as “Wiley Act” on its main architect. This legislation responds to the concerns of the public alerted by reports of the progressive era investigative journalists. 1927 – The Bureau of chemistry is reorganized into two distinct entities. The regulatory functions are taken over by the Administration of food, drugs and Insecticides (Food, Drug, and Insecticide Administration) and the non-regulatory functions are repeated by the Bureau of chemistry and soils (Bureau of Chemistry and Soils). 1930 The Administration of food, drugs and Insecticides is shortcut in Administration of food and drugs (Food and Drug Administration-(FDA)) in an act of appropriation of agriculture. 1938 The President Franklin d. Roosevelt signs the Federal Food, Drug, and Cosmetic Act, text binding in which the FDA draws its authority, and which was to meet the national tragedy that occurred the previous year which saw die 100 people by ingestion of Elixir sulfanilamide, rendered toxic by the presence of diethylene glycol drug. 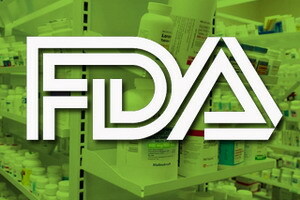 1953 – The FDA is placed under the authority of the Department of health education and welfare. The Naval Ordnance Laboratory in White Oak is invested by the FDA and became its new headquarters. However, budget restrictions slowed the move of many of the offices of the FDA. Government preparing legislative reforms for reforming the system of monitoring, deemed unsuitable (in June 2009, Nestlé, made from cookie dough products (en), were recalled, products containing the potentially deadly bacterium e. coli 0157, usually present in the intestines of cattle). The FDA has no authority to require the removal of a drug from the market; It can only invite the undertaking concerned to voluntarily withdraw the offending product from the market. The Food, Drug, and Cosmetic Act requires that any product containing new substances to be tested by companies before submission to the review of the FDA that will decide or not of its placing on the market. The Agency does not toxicological studies, reviewing the data provided by the applicants. This position can give material to criticism and conflict. Thus, according to the veterinary Burroughs in charge of the examination of the application for authorization to market somatotrophin manufactured by the Monsanto Company interviewed by Marie – Monique Robin in his book, the world according to Monsanto: “the folder provided by Monsanto was as high as me…”. However, the FDA regulations impose not to exceed one hundred and eighty days to analyze the data. In fact, it is a business technique to discourage scrutiny: they send tons of paper in the hope that you get them over. I quickly understood that the data were intended only to prove than the rBGH [-nb: - recombinant Growth Hormone Bovine-, or rBST - recombinant Bovine Somatotropin - by the Monsanto Company] does dopait milk production. Scientists working for Monsanto were not at all interested in crucial issues [...] “Burroughs, when there because of” data missing “, request the company to”review copy “. It is first followed in its application by the FDA, before to be “put on the key”. “On has blocked me access to the data that I myself had requested, until I am completely stripped of the record.” And then, on November 3, 1989, my Chief a ride me at the door, it was finished for me [licensed]… (…) for incompetence. ». When the journalist asked if the FDA was deceived by Monsanto, Burroughs responds: “wrong is not the word just, because it would mean that this would have happened without his knowledge.” Not, the Agency knowingly condoned the disturbing data because it wanted to protect the interests of society, by promoting the faster the placing on the market of the transgénique… hormone » . The FDA has the power to make a drug or a marketable food to the United States. The links between pharmaceutical firms, the financial community and the U.S. Government allowed to allow food, vaccines or medicines dangerous (or useless), or to ban drugs, devices or competing therapies of authorised therapies. For example the story of the approval of aspartame for a food use gives an overview.